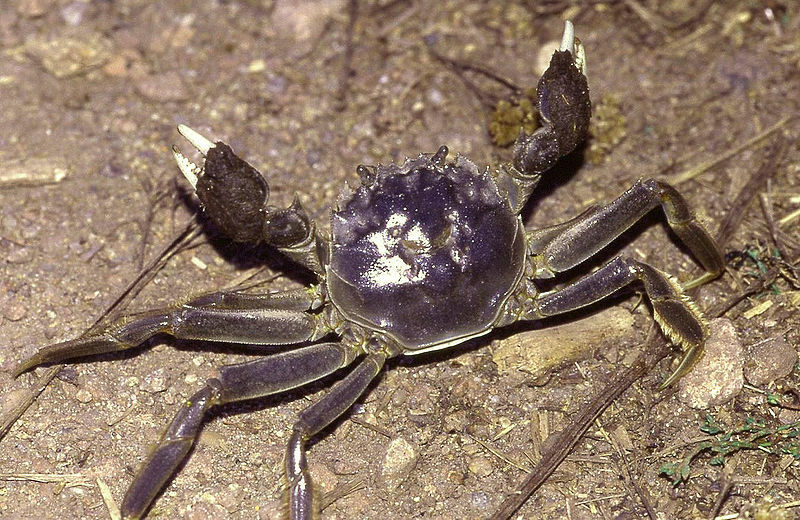 The Chinese mitten crab, Eriocheir sinensis (also known as the big sluice crab and Shanghai hairy crab) is a medium-sized burrowing crab that is native in the coastal estuaries of eastern Asia from Korea in the north to the Fujian province of China in the south. Left: Hairy crab as famous Shanghai cuisine. 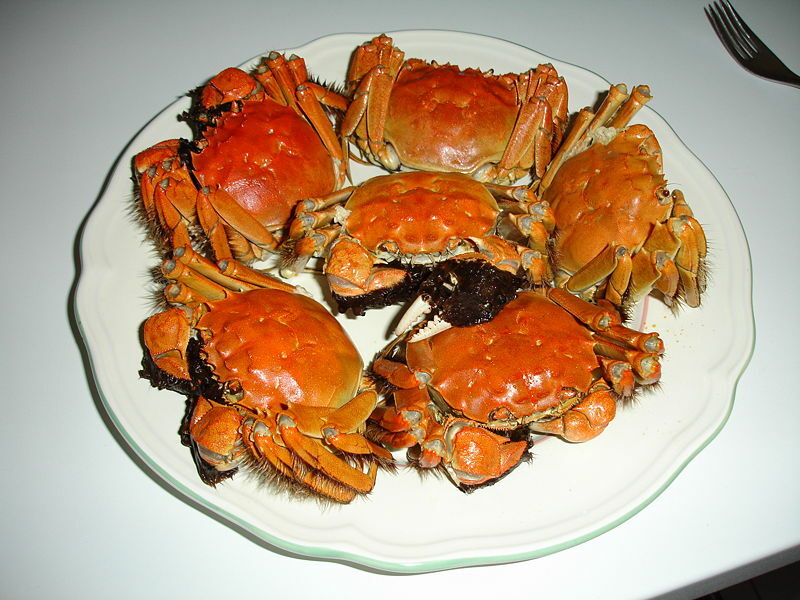 The crab is a famous delicacy in Shanghai cuisine and is prized for the female crab roe. The crab meat is believed by the Chinese to have a "cooling" (yin) effect on the body. The mitten crabs had exhibited a remarkable ability to survive in highly modified aquatic habitats, including polluted waters. Like certain fish, they can also easily tolerate and uptake heavy metals, such as cadmium and mercury. Therefore, the farming and post-harvesting of the species needs proper management if it is used as a food.